Dogs are welcome in this cottage. 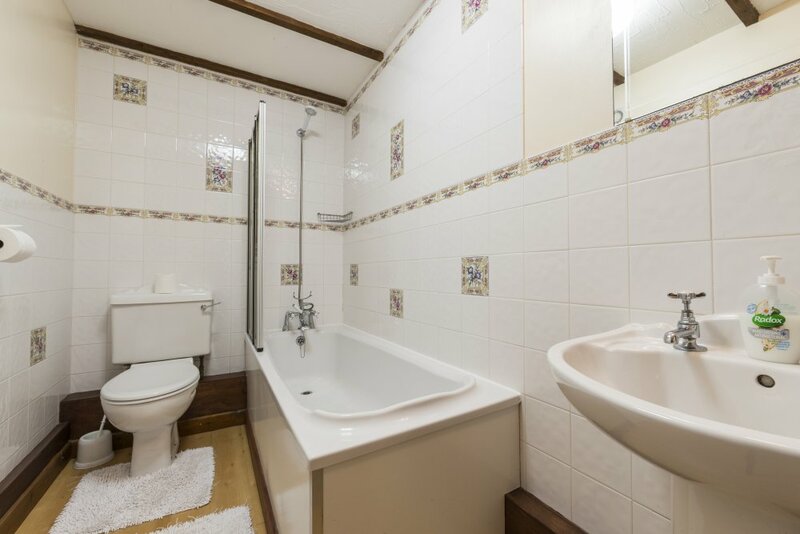 Centrally heated, double glazed, comfortably furnished and carpeted throughout. Fully equipped for 4 people. Large comfortable leather 3 piece suite, dining table with four chairs, TV, Freeview and DVD players and a selection of books and games. Bath sheets, hand towels and bed linen are provided in all our holiday accommodation, and the beds will be made up ready for your arrival. The washing machine, tumble dryer and freezer are located in the Laundry Room (no charge). Ground Floor: Open plan lounge/dining /kitchen area with stairs leading to first floor. First Floor: Double bedroom; Twin bedroom. Ivy Cottage, Deanwood Holiday Cottages, Forest of Dean Holiday Accommodation, 8 – 12 April 2018. ‘Our 4th stay here at Deanwood. Lovely as always. Different cottage every time, think we are working our way around them all! Thank you John & Elaine.’ Marie, Martin and Adrian Ebdon, Oxfordshire. Ivy Cottage, Deanwood Holiday Cottages, Forest of Dean Holiday Accommodation, 14 – 17 September 2018. ‘Super’. EIP, Poland. Ivy Cottage, Deanwood Holiday Cottages, Forest of Dean Holiday Accommodation, 14 – 17 September 2018. ‘A lovely place to have a family weekend together with 3 dogs, 3 children and 8 adults. Great cottages and place. Thank you.’ The Palmers, Bristol. Ivy Cottage, Deanwood Holiday Cottages, Forest of Dean Holiday Accommodation, 7 – 10 September 2018. ‘A lovely get-together for my 80th birthday, lovely atmosphere, very comfortable accommodation in delightful surroundings. Hope to visit again.’ Val & John Bates & family (16 members of our family). Ivy Cottage, Deanwood Holiday Cottages, Forest of Dean Holiday Accommodation, 28 August – 1 September 2018. ‘We all had a great time visiting my home town. The place was lovely – the kids loved it! Will definately come back – thanks for a perfect holiday.’ Luke, Abigail, Callum & Harry, Cornwall. Ivy Cottage, Deanwood Holiday Cottages, Forest of Dean Holiday Accommodation, 11 – 16 August 2018. ‘A lovely stay – a great place from which to explore. Our children loved the play area and we even used the BBQ!’ Marina & Stewart Fung & family, Essex. Ivy Cottage, Deanwood Holiday Cottages, Forest of Dean Holiday Accommodation, 15 – 22 June 2018 ‘Such peace & quiet. Very refreshing. Great place. Good base for visiting historic & natural sites.’Alice & Ian Ridgway, Kinross-shire. Ivy Cottage, Deanwood Holiday Cottages, Forest of Dean Holiday Accommodation 18 – 22 May 2018 ‘What a treat, we were blessed with brilliant weather, peace & quiet, and a cottage with all we needed. We’ll recommend you.’ Vicky & Tony Mantle, Shropshire. Ivy Cottage, Deanwood Holiday Cottages, Forest of Dean Holiday Accommodation 9 – 13 April 2018 ‘A lovely Mon – Fri stay! Such a warm, well equipped little house! And very spacious. We absolutely loved our stay and will come again. Thank you.’ FM, J & LL Waterhouse, Cambridgeshire & London (renting 4 x cottages with other family members). Ivy Cottage, Deanwood Holiday Cottages, Forest of Dean Holiday Accommodation. 4 – 11 September 2017. 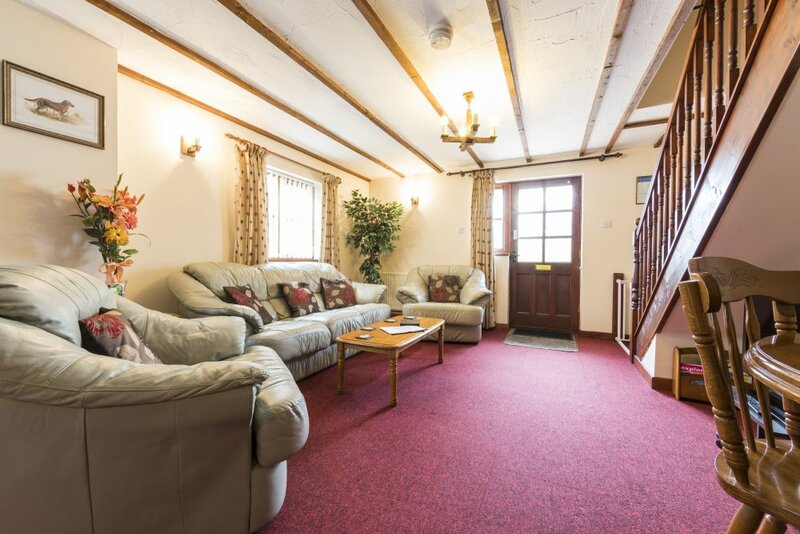 ‘Comfortable cottage and very well equipped. Would it be possible to remove the stairgate when children are not staying? It is very easy – and painful! – to trip over it. Pity about the weather but we’ve had a good week.’ Jenny Hyams and Margaret Bingham. Note from Elaine. I am pleased that you enjoyed your week despite the weather! The stairgate is usually left there not just for children but also to stop dogs going upstairs. However, if it is not being used and it is in the way it can certainly be removed. Ivy Cottage, Deanwood Holiday Cottages, Forest of Dean Holiday Accommodation. 25 – 28 August 2017. ‘Wonderful stay. Cottages were perfect – shower not great – but everything else perfect. Thank you.’ Natalie Liddle, Twickenham. Ivy Cottage, Deanwood Holiday Cottages, Forest of Dean Holiday Accommodation. 14 – 19 August 2017. ‘Had a fabulous stay. Thank you for providing everything we needed. Everything worked. Everything was easy! Symonds Yat East – great walk. Symonds Yat West – great golf & maze. Bristol – Clifton village – beautiful! Lydney Bathurst Park – great play area. The Mall at Cribbs Causeway – lovely shopping. Boston Tea Party – exquisite bakery!’ The Evans, Liverpool. Ivy Cottage, Deanwood Holiday Cottages, Forest of Dean Holiday Accommodation. 28 April – 1 May 2017. ‘Our second visit – won’t be our last! Lovely cottage so well equipped it feels like home. We came with our grandchildren and they loved the forest. Their favourite place was Puzzlewood – well worth a visit. Thank you. We will be back!’ Dave & Rose Powell, Wolverhampton. Ivy Cottage, Deanwood Holiday Cottages, Forest of Dean Holiday Accommodation. 30 December 2016 – 2 January 2017. ‘Lovely stay in a beautiful setting. Cosy, warm cottage with a lovely welcome. Sure we’ll be back again!’ Tori, Stuart, Annabel and Elliot, South Wales. Ivy Cottage, Deanwood Holiday Cottages, Forest of Dean Holiday Accommodation. 23 – 30 December 2016. ‘A lovely relaxing Christmas spent here. Well equipped and everything we needed.Staff helpful and attentive. We would come back – but not to Ivy Cottage – the floor boards in the bedrooms are so creaky and the stairs are also ‘loud’. Could we suggest plain glass in the window next to the door and ‘no ball games’ in the courtyard. Also the fridge is a bit noisy.’ Sandra, Chris, Laura and Libby the dog, Nottingham. Ivy Cottage, Deanwood Holiday Cottages, Forest of Dean Holiday Accommodation. 19 – 23 December 2016. ‘Very friendly people and one of the best cottages I have ever been to. Definately come back again.’ Aisha & family, London. Ivy Cottage, Deanwood Holiday Cottages, Forest of Dean Holiday Accommodation. 22 – 29 October 2016. ‘We had an amazing stay. Everything about the cottage and its vicinity was perfect. We visited Clearwell Caves, the brilliantly good value for money Palace Cinema and Go Ape twice as well as spending a day in Gloucester. Brilliant! Thank you John & Elaine!’ Matt, Sue, Callum & Elliot from Sidcup, Kent. Ivy Cottage, Deanwood Holiday Cottages, Forest of Dean Holiday Accommodation. 5 – 8 October 2016. ‘We have had a lovely time here in the Forest of Dean. The cottage is delightful and fully equipped. It’s a dogs’ paradise in the woods, Buddy has had an amazing time. The Rising Sun is an absolute must for dog owners. Great food but most of all extremely Dog Friendly. Thank you all for a great few days. We will be back!’ Jackie, Nigel & Millie Atterbury & Buddy the dog. Ivy Cottage, Deanwood Holiday Cottages, Forest of Dean Holiday Accommodation. 18 – 25 September 2016. ‘Everything was perfect. We felt like home, very casual and comfortable. A real pleasure to stay here. Thank you for the charger.’ Marion & Simon from France. Ivy Cottage, Deanwood Holiday Cottages, Forest of Dean Holiday Accommodation. 30 August – 2 September 2016. ‘Lovely cottage and the children made a friend. Puzzlewood is beautiful. We saw wild boar in the forest!’ Justin, Andrea, Jenny & Becca Darley. Ivy Cottage, Deanwood Holiday Cottages, Forest of Dean Holiday Accommodation. 27 – 30 August 2016. “Lovely ‘2nd-time’stay. Very clean & everything we needed was here. Thank you.” Mike & Lorraine Benefer, Lancaster. Ivy Cottage, Deanwood Holiday Cottages, Forest of Dean Holiday Accommodation. 6 – 20 August 2016. ‘A lovely stay! Very welcoming owners. Puzzlewood is a must – but wear stout trainers/boots! DO NOT go to Littledean Jail unless you are interested in crime (just paper cuttings etc.). The Secret Forest is good if you are not up to Puzzlewood – not as hard going. Clearwell Caves very interesting. There are many places to eat – try ‘The High Lord Constable’ at Gloucester Docks / Quay – good food & reasonable prices ( Wetherspoons). For those who like nature, try WWT Slimbridge.’ Mr & Mrs Thompson and Mr & Mrs Perry. Ivy Cottage, Deanwood Holiday Cottages, Forest of Dean Holiday Accommodation. 30 July – 6 August 2016. ‘Really nice time. Lovely clean cottage. Very warm welcome. Nags Head is a must visit, really lovely landlady, very good food at a good price. Also try the Forest Trecking Centre, our 7 year old had a really great ride out.’ Tennison family. Ivy Cottage, Deanwood Holiday Cottages, Forest of Dean Holiday Accommodation. 9 – 16 July 2016. ‘Nice week here at Deanwood. Made lots of day trips. Children loved the castles at Chepstow and Caldicot. And we saw the little wild boar in the forest!’ Familie Pampiermole, Holland. Ivy Cottage, Deanwood Holiday Cottages, Forest of Dean Holiday Accommodation. 1 – 8 July 2016. ‘Fantastic forest walks – only 1 visit to the vet!! Only 1 shower of rain all week! !’ Freeman family & dog, Wirral. Ivy Cottage, Deanwood Holiday Cottages, Forest of Dean Holiday Accommodation. 20 June – 1 July 2016. ‘Rita & I have enjoyed a great holiday with our dogs & hope to return again next year!’ Lynn Bezant, Esher, Surrey. “Home from Home”. Pefection. Friendly staff. Chatty people. Rain did not “stop play”. Rita Cox, Chichester, West Sussex. Ivy Cottage, Deanwood Holiday Cottages, Forest of Dean Holiday Accommodation. 16 – 23 April 2016. ‘Had a great time. Cottage has everything you could need. Ate twice at The Woodman, food excellent. Back in 2 weeks.’ Glen, Stephen, Beau & Georgie. Ivy Cottage, Deanwood Holiday Cottages, Forest of Dean Holiday Accommodation. 13 – 20 February 2016. ‘We have had a wonderful time, brilliant cottage & superb location. We went to loads of lovely places and long forest walks. Unfortunately we didn’t get to see a wild boar.’ Kevin, Denise, Jason & Bella. Ivy Cottage, Deanwood Holiday Cottages, Forest of Dean Holiday Accommodation. 12-19 September 2015. ‘Very warm & comfortable cottage. The DVD player worked fine after the first day!. Many thanks.’ Jonathan & Emma Bunday, Havant, Hants. Ivy Cottage, Deanwood Holiday Cottages, Forest of Dean Holiday Accommodation. 6 – 12 August 2015. ‘We had a wonderful time in your beautiful cottage! Felt like home 🙂 Thanks!’ Ton & Ineke Slieker, Delft, Holland. Ivy Cottage, Deanwood Holiday Cottages, Forest of Dean Holiday Accommodation. 1-6 August 2015 ” Fantastic holiday-little ones loved Puzzlewood, Perrygrove Railway and we loved Symonds Yat East 🙂 ” Michelle Carey, Wirral, Merseyside. Ivy Cottage, Deanwood Holiday Cottages, Forest of Dean Holiday Accommodation. 13 – 20 June 2015. ‘Nice, clean & comfortable accommodation. Lovely Sunday lunch at the Woodman, Parkend. Enjoyed forest trails & views at Symonds Yat. Lovely shops at Monmouth & river walks. Avoid the New Inn for meals. The Fountain has good food & the Rising Sun too.’ The Milligans, Claydon & Holbrook, Suffolk. Ivy Cottage, Deanwood Holiday Cottages, Forest of Dean Holiday Accommodation. 29 March – 2 April 2015. ‘Our first stay! Had a very comfortable stay, loved Puzzlewood and the forest on the doorstep. Children loved looking for wild boar, saw a few. Play barn was an unexpected bonus. Very clean & well equipped. Many thanks.’ Albert, Ned & Claudia Brown, Alisatir Askew. Suffolk. Ivy Cottage, Deanwood Holiday Cottages, Forest of Dean Holiday Accommodation.14 – 21 February 2015. Thank you for a lovely comfortable cottage, home from home. Will definately recommend to friends. Owners lovely and very helpful.’ Paul, Paula & Amy, Croydon, Surrey. Ivy Cottage, Deanwood Holiday Cottages, Forest of Dean Holiday Accommodation.5 Jan – 6 Feb 2015. 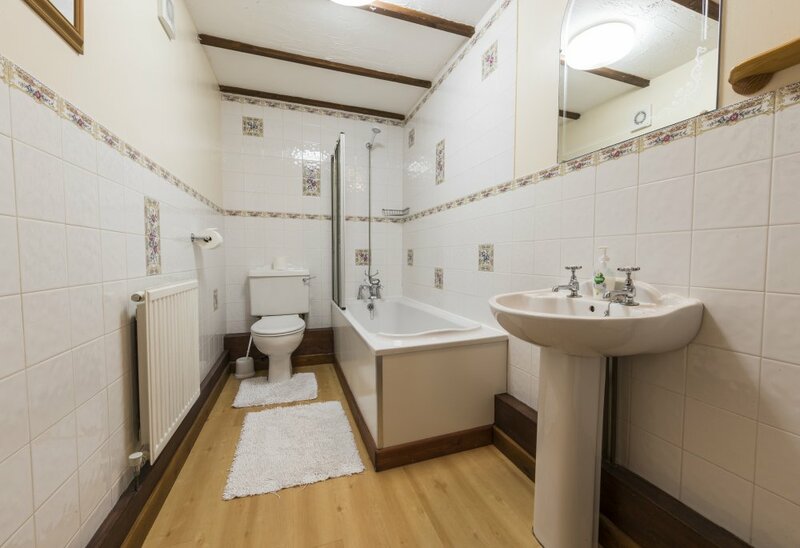 ‘Nice clean cottage with everything you need, warm and cosy even in the winter months. Enjoyed our stay. Thanks to everyone.’ PHil & Deb, Stourport-on-Severn, Worc. Ivy Cottage, Deanwood Holiday Cottages, Forest of Dean Holiday Accommodation. 24 – 28 December 2014. ‘Very pleasant cottage. We had a lovely stay. Thank you.’ Wojtek, Monika & children. Ivy Cottage, Deanwood Holiday Cottages, Forest of Dean Holiday Accommodation.20 – 27 August 2014. ‘Lovely cottage, beautiful scenery. Visited Puzzlewood, Clearwell Caves, Raglan Castle & Symonds Yat Rock – a great climb.’ Gemma, Mark, Lauren & Lucy, Norfolk. Ivy Cottage, Deanwood Holiday Cottages, Forest of Dean Holiday Accommodation.12 – 19 August 2014. ‘Had a lovely time, Tinxy loved the open spaces & we all felt very welcome. All the best, Arthur.’ The O’Hara family & Tinxy the dog. Ivy Cottage, Deanwood Holiday Cottages, Forest of Dean Holiday Accommodation. 2 – 9 August 2014. ‘Lovely cottage in a beautiful setting and location. We’ve had a great week, thank you. Only one thing I would change, the duvets are too heavy especially for children. Thinner, more lightweight summer quilts would have been better. Many thanks.’ The Nicholls family, Rutland. Ivy Cottage, Deanwood Holiday Cottages, Forest of Dean Holiday Accommodation.14 – 21 July 2014. ‘Fantastic place, very clean and everything you need for a great stay. Could do with a clock and fan when hot. We will be back on our next visit home in 2015/16. Looking for great fish & chips – must go to Ruddy’s in Lydney, best place for over 30 years, my first stop when hit home. Puzzlewood great place for day out. Thank you Elaine & John, we will be back, we had a great week.’ The Hijazi family, Toronto, Canada. ‘I loved the play area all of them but a swimming pool all you need now.’ From Aaisha, aged 8. Ivy Cottage, Deanwood Holiday Cottages, Forest of Dean Holiday Accommodation. 11 – 13 July 2014. ‘Well equipped and very clean – lovely stay, thank you. Hooks on back of bedroom doors would be good. Rising Sun at Moseley Green – 5 mins by car – really good cheap food.’ Cleary family. Ivy Cottage, Deanwood Holiday Cottages, Forest of Dean Holiday Accommodation. 21 – 28 June 2014. ‘Very well equipped cottage.Pity there’s no view. Good walks at Sculpture Trail & Mallards Pike. Symonds Yat well worth a visit. Best pub/food – Woodman at Parkend (forget the Bailey and the Nag’s Head, truly awful).’ Ian & Jenny Bakewell & Molly. Ivy Cottage, Deanwood Holiday Cottages, Forest of Dean Holiday Accommodation. 18 – 21 April 2014. ‘Thank you so much for making our stay so lovely.The cottage was a real home from home. Verry warm, clean and well equipped. The whole site is really well kept and cared for, and our stay was so great, we would definitely recommend and come back again! (The inside play area was a bonus to keep the boys happy on a wet day.) Thanks again!’ Sharna, Iain, Joshua & Gregory, & Henry the dog. Ivy Cottage, Deanwood Holiday Cottages, Forest of Dean Holiday Accommodation. 14 – 18 April 2014. ‘Great family home away, lots to keep the kids entertaned. They loved the bouncy castle and Clearwell Caves.’ Jess, Daryn, Gregory, Christopher & Jonathan, Epsom. Ivy Cottage, Deanwood Holiday Cottages, Forest of Dean Holiday Accommodation. ‘Lovely 3 days away. Active holiday, non-stop with the boys cycling, walking in the forest and getting lost in the Jubilee Maze at Ross on Wye. Lovely cottage and would definitely come back. Other guests very friendly and the boys made friends too.’ Amanda, Chris, the boys & Zizigo, London. Ivy Cottage, Deanwood Holiday Cottages, Forest of Dean Holiday Accommodation.21 – 24 March 2014 ‘Lovely 3 days away – very relaxing, lovely cottage. Pleasant walk to local shops & pub (need a torch for walking back in the dark).’ Cath & Mick, & Leighton, County Durham. Ivy Cottage, Deanwood Holiday Cottages, Forest of Dean Holiday Accommodation. 3 – 5 January 2014. ‘A lovely relaxing stay, home from home. Thank you.’ The Smith family, Rochester. Ivy Cottage, Deanwood Holiday Cottages, Forest of Dean Holiday Accommodation. 30 Oct – 3 Nov 2013. ‘Lovely cottage and base to explore. We had a great bike ride on the family trail and then stored the bikes here. Thank you!’ Karen, Simon, Bethany & Eleanor, Herts. Ivy Cottage, Deanwood Holiday Cottages, Forest of Dean Holiday Accommodation. 26 – 29 October 2013 ‘A great few days despite the storm! Beautiful part of the country and lovely, warm and cosy cottage.’ Gail, Martin & Finn, Essex. Ivy Cottage, Deanwood Holiday Cottages, Forest of Dean Holiday Accommodation, 24 October 2013 ‘Stayed on longer ‘again’! Thanks for a great stay. Would not be a good thing to have clear glass in the door, much better to open it*.’ Keith & ELaine Davis, and boys & dogs, Portsoy, Scotland. Ivy Cottage, Deanwood Holiday Cottages, Forest of Dean Holiday Accommodation, 14 September – 6 October 2013. ‘We had a lovely time. Very comfy place and great location. Thank you.’ Col & Theresa, Dulong, Queensland, Australia. 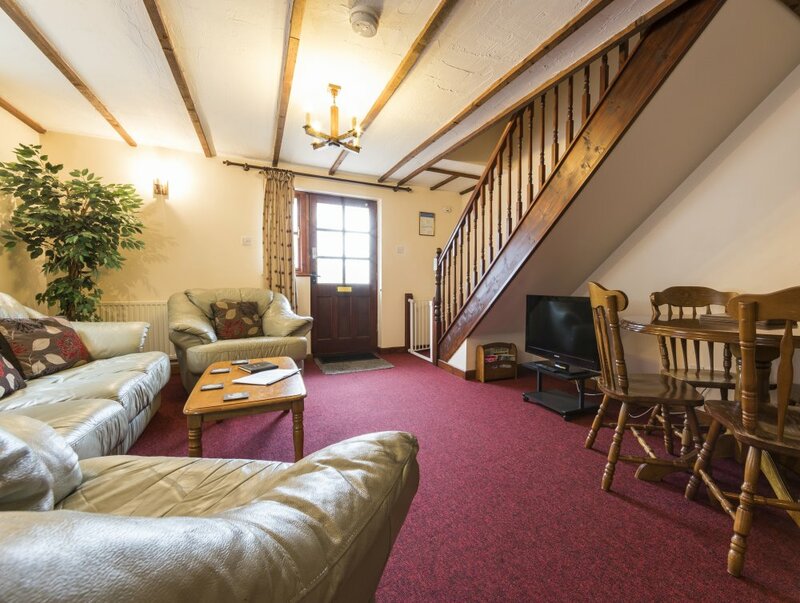 Ivy Cottage, Deanwood Holiday Cottages, Forest of Dean Holiday Accommodation, 6 – 13 September 2013. ‘Thank you for your lovely accommodation. Had a great week.’ Julie Kelly, Norfolk. 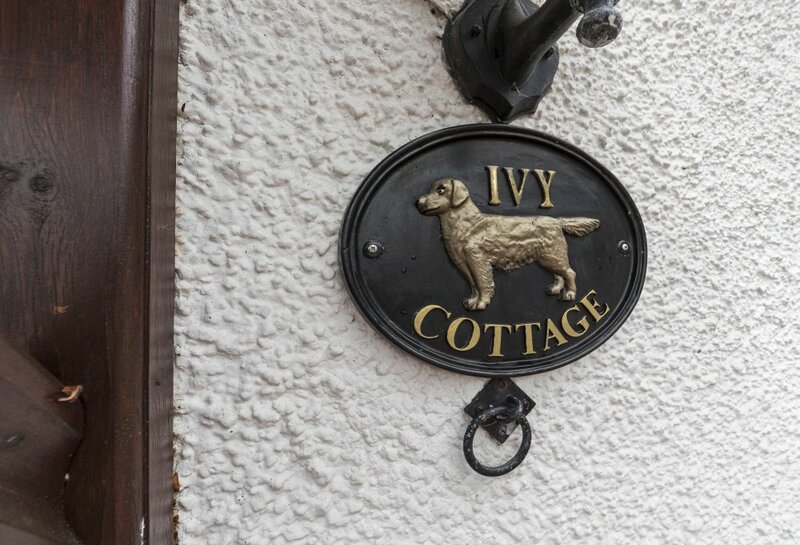 Ivy Cottage, Deanwood Holiday Cottages, Forest of Dean Holiday Accommodation, ‘Lovely well-equipped cottage. Good size bedrooms. Had a lovely week, boys have enjoyed the playbarn and playground with all the other children. Need a new potato peeler.’ Rachel, Alastair, Nathanael & Simeon, Scarborough. Note from Elaine – potato peeler changed. Ivy Cottage, Deanwood Holiday Cottages, Forest of Dean Holiday Accommodation 9 – 16 August 2013. 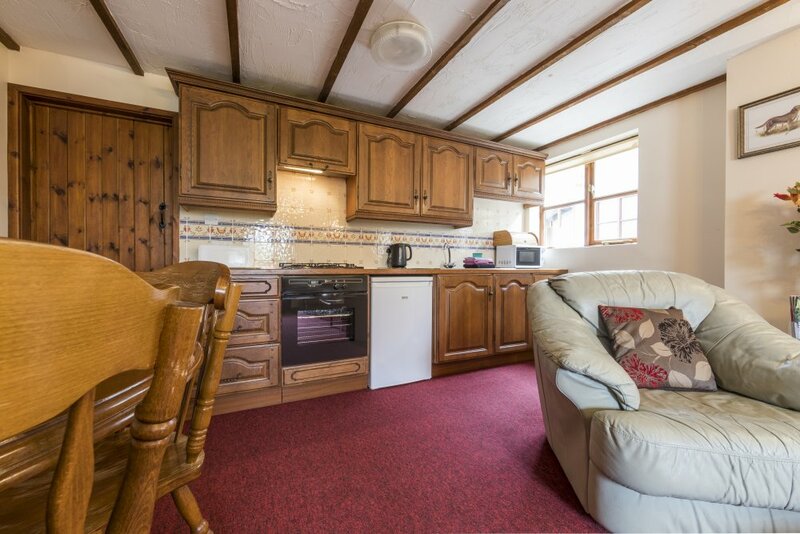 ‘Wonderful cottage, great location for all the attractions. Such care and consideration for the guests’ needs. Really felt at home.’ Marion & Jules Newman, London. 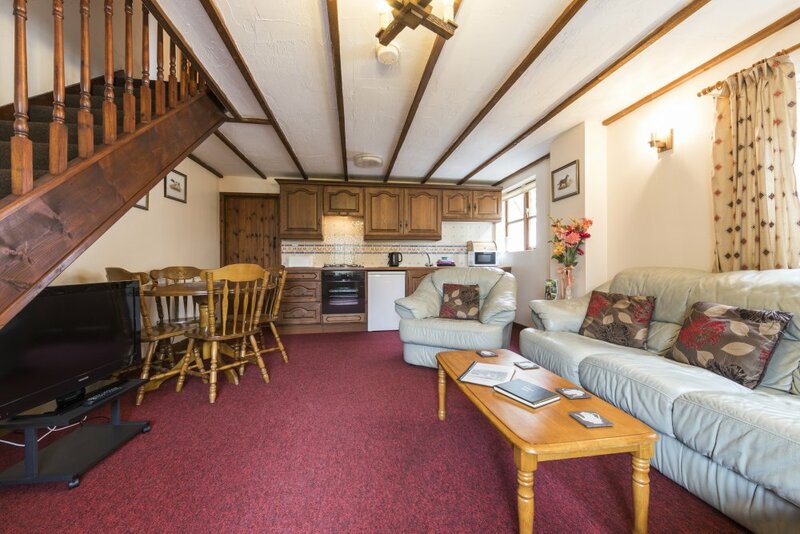 Ivy Cottage, Deanwood Holiday Cottages, Forest of Dean Holiday Accommodation, 2 – 9 August 2013. ‘Lovely cottage, lovely area, lovely welcome! Head up to Raglan Castle and Tintern Abbey, they’re well worth a visit!’ Elaine & Phillip Jackson (Mum & Son), Newcastle & Birmingham. 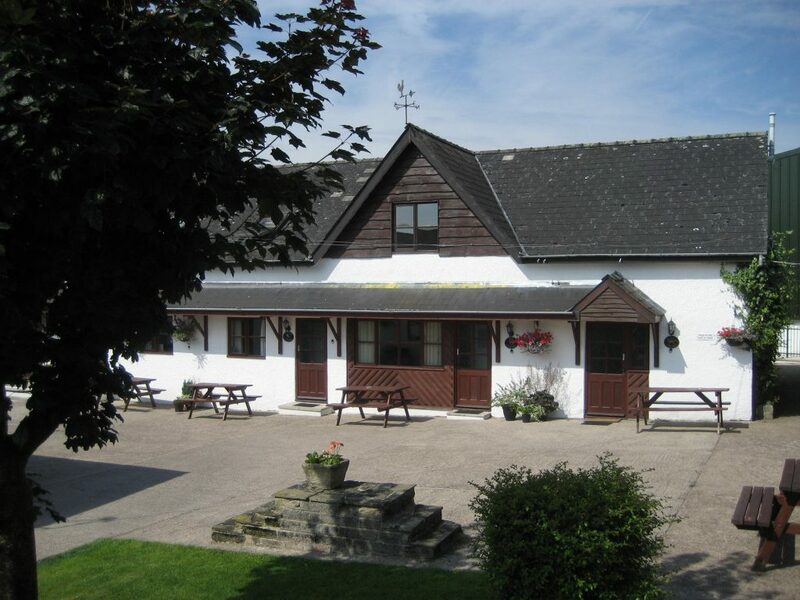 Ivy Cottage, Deanwood Holiday Cottages, Forest of Dean Holiday Accommodation 8 – 22 July 2013. ‘Absoultely brilliant! Fantastic home away from home. Definately recommend it to everyone. Even the locals were impressed! Many thanks.’ Karen, Paul, Jack & Will, Australia. Ivy Cottage, Deanwood Holiday Cottages, Forest of Dean Holiday Accommodation, 11 – 17 may 2013. ‘Two good meals at the Miners Arms (v. good). Symonds Yat East wewll worth a visit. Saw a wild bore at Cannop Ponds in the car park. Lovely holiday! What a shame the glass in the door is obscure. I wake early and couldn’t see what a lovely morning it was without opening the door. It is such a pretty courtyard. Clear glass would much improve the feel of this cottage which has everything else provided. And many thanks for the new television. The forest on the doorstep has much to offer, we saw the white deer. How lucky are we! Many thanks Elaine.’ Kath & Brian, Annette & Peter, and collies. West Yorks. Note from Elaine. Glad you had a wonderful time and thanks for your helpful comments. The windows on this cottage look out to the side not into the courtyard which gets the morning sun. Some people might prefer the opaque glass in the door, but now you have commented on this it will be interesting to see what other guests think as it wouldn’t be too difficult to change it if most would prefer clear glass. Ivy Cottage, Deanwood Holiday Cottages, Forest of Dean Holiday Accommodation, 14 Feb – 5 April 2013. ‘Very good ‘pied a terre’ while awaiting completion of our new house. Lucky with weather, cold but mainly dry. Thank you John & Elaine.’ Peter, Joy and Jasper the dog. Ivy Cottage, Deanwood Holiday Cottages, Forest of Dean Holiday Accommodation, 2 – 9 February 2013. ‘Had a great week, lovely walks. Harvey (the dog) had a great time. Will return. Thanks to you both.’ Molly, Janet & Ruth, Oxon & Worcs. Ivy Cottage, Deanwood Holiday Cottages, Forest of Dean, 25 – 31 August 2012. ‘Puzzlewood, Clearwell Caves, Butterfly Zoo, Go Ape all fab. Accomodation great although good job not a teenager trying to sneak out at night – no chance with the squeeky stairs! Doctor’s surgery was needed so list of numbers really helpful as were all those at the surgery.’ Hemming family, Worcester.Note from Elaine. Stairs have been repaired. Only a very minor squeek audible now. 25 Sept 2012. Ivy Cottage, Deanwood Holiday Cottages, Forest of Dean, 10 – 17 August 2012. ‘Had a very enjoyable week. Accomodation comfortable and very clean. Very creaky floor boards upstairs added to the charm of the place!’ A & B R, Suffolk & BH, Manchester. Ivy Cottage, Deanwood Holiday Cottages, Forest of Dean, 28 July – 4 August 2012. ‘Lovely week! Visited many places. An enjoyable bike ride at Cannop Centre. Had delicious meal at Miners Arms Inn in Whitecroft. Symonds Yat good for families: Maze, crazy golf, butterfly world, garden centre. Surprised with village of Newent – nice stroll along the High St with independent shops and lovely tea shop called The Cake Box. Nice and affordable!’ F. family from Dagenham. Ivy Cottage, Deanwood Holiday Cottages, Forest of Dean 18 – 23 June 2012 ‘Enjoyed our time here very much. Visited the Dean Heritage Centre – very interesting. Had lovely walks in the Forest. Lovely visit to Symonds Yat Rock & saw Peregrine Falcons.’ S & P, Essex.